Lauvøy Holiday Complex offers accommodation with a beautiful panorama-view over Hjeltefjorden, just 25 minutes from Bergen Centrum. Our apartments are of a high class, and we are certain that you would enjoy yourself at ours. We at Lauvøy are always ready to host you, and will do our best for your experience. We are rated 9.4/10 at booking.com, and we are really excited to show you why! 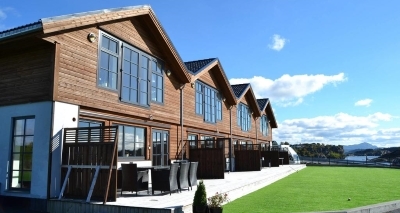 Lauvøy Holiday Complex offers accommodation with a beautiful panorama-view over Hjeltefjorden. At Lauvøy you can enjoy tranquil surroundings with a great view! 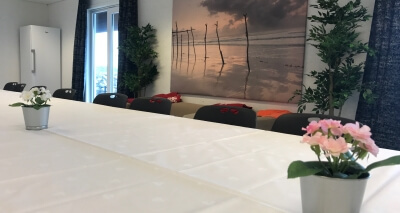 Lauvøy Feriesenter offers meeting rooms and conference rooms for all types of gatherings. 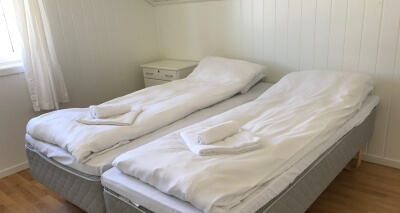 We also offer shorter or longer accommodation for workers in the Bergen area. Lauvøy Feriesenter offers both short term rentals and long term rentals. The cabs are fully equipped for short and long stays and are perfect for any occasion. Watch this video of the wonderful surroundings at Lauvøy Feriesenter!